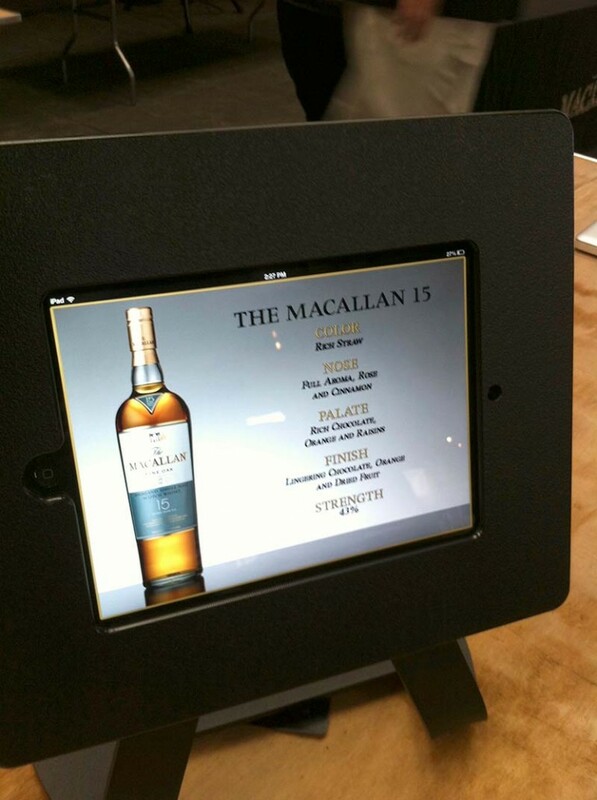 The Macallan “Rise The Macallan” Tour. 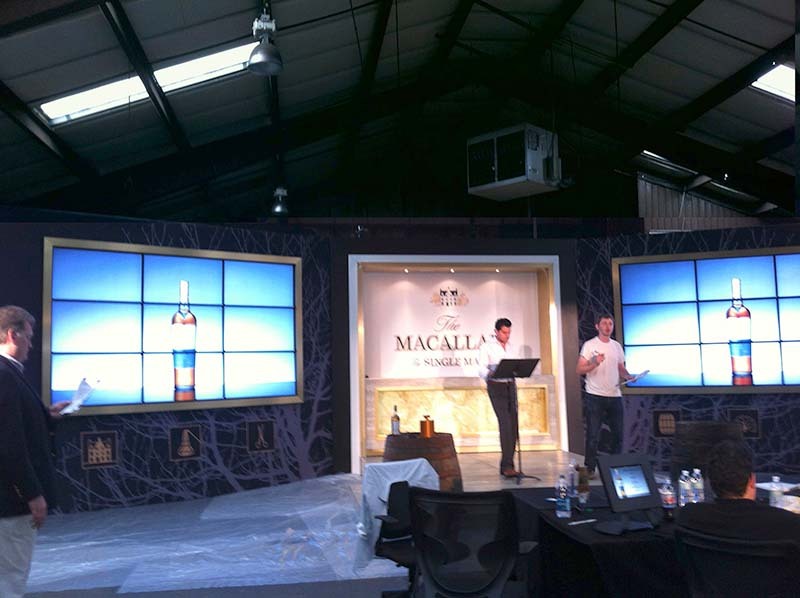 The flagship program of SoHo Experiential, and lead recruitment vehicle for 10-year client The Macallan, the Raise The Macallan tour provides an immersive tutored tasting experience for attendees. It demystifies the whisky category, delivers compelling interactive content, and drives home the important message: The Macallan is the global leader in Scotch Whisky, because we invest more time and resources than anyone else dedicated to the craft. The Macallan is a single malt Scotch whisky distillery in Craigellachie, Moray. The project started when they handed Rust an older PowerPoint project and wanted a modern and fresh presentation. 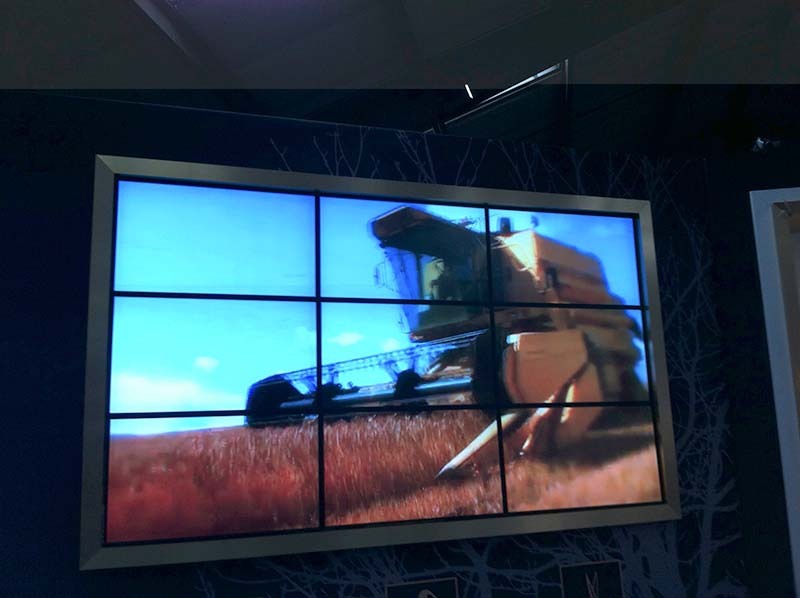 We then worked with the brand to update the program and integrate better consumer interactivity. 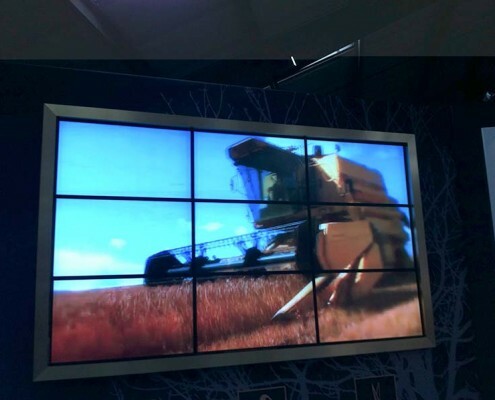 The result was an entirely new user experience featuring live interaction with the brand ambassador via iPad’s located at viewers table. The nationwide tour was able to boost brand awareness and drive sales up in 12 major US markets. As a scotch aficionado, I always look forward to either trying something different from what I normally drink or learn about a brand that’s less familiar to me. 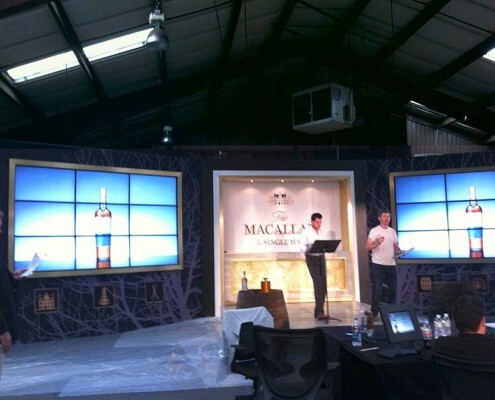 That’s why I immediately accepted an invitation to an event called Raise The Macallan – a combined tasting and lecture about The Macallan single malt scotch. 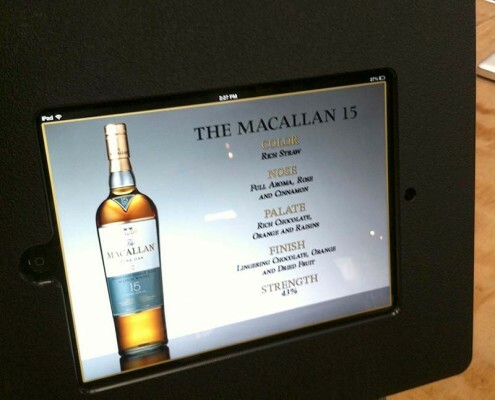 While it may be your go-to scotch, it’s not one that’s on my list of regulars, so I was extremely eager to get more information and give it a try to see if The Macallan was something I should be adding to my shopping list for the next trip to my neighborhood liquor store. Brand Ambassador Charles Whitfield led the evening to educate everyone on the various expressions of the Speyside – based scotch. During the course of the event, we tasted a wide range of The Macallan: the 12 year old, 15 year old, a 17 year old and an 18 year old. Before doing so, however, Whitfield gave the crowd a bit of background on whisky, explaining how the various regions of Scotland produced sharply different types of the country’s premium brands. This was followed by an explanation of the word’s etymology. The word “whisky” is derived from the term “uisge beatha”, which means “the water of life”. Single malt and blended are the two types that account for the most popular scotches. Blended scotch consists of different grains from a single distillery while single malt is a grain from a single location coming from only one distillery. Whitfield said that The Macallan makes its scotch in small copper pot stills because they conduct heat the best and serve as a catalyst to inhibit sulphur notes from the scotch – an undesirable after effect that can sometimes occur during the distillation process. A single cask can be filled with only 16% of what comes from the distillation. While you might think that the manufacturing process of a good scotch is Scotland-centric, Whitfield claims that with The Macallan, the process actually begins in Spain because that is the country where the oak trees grow which later become the barrels that store their whisky – a process that can take as long as 118 years. In 1895, acorns were planted to grow the mighty oak trees; at harvest, the trees are cut and made into pieces that will eventually become barrels – but first, they must be allowed to sit for approximately three years for the purpose of air-drying the new wood. The pieces are then shipped to the southwestern region of the country where they are made into barrels and charred in order to store dry oloroso sherry for the next three years. Once emptied, the barrels are then shipped to Scotland, where they are filled with The Macallan for the next 12 years before being bottled. Second, we tasted the Fine Oak 15 year old. The first thing you notice about this expression is its lighter color making it almost look golden. This is aged in three types of casks – Spanish sherry, American sherry and American oak previously used to age bourbon. Its color comes from the oak during the maturation process. Nosing it reveals notes of vanilla and citrus. Not only is its color light, but so is its taste. While you might not think of any scotch as “refreshing”, that’s exactly how Whitfield characterized this one; he suggested that the 15 year old would make for a good pre-dinner scotch, especially during the summer months. The evening wrapped up by tasting the 17 year old Fine Oak, followed by the 18 year old sherry oak. Nosing the 17 year old, some of the participants said that they detected honey and vanilla; depending on what part of your tongue it fell on, you might either taste wood and smoke or tropical fruits. By contrast, the 18 year old had somewhat of a cinnamon scent on its nose. Its most striking feature, however, was the rich, smooth finish hitting the back of the tongue.